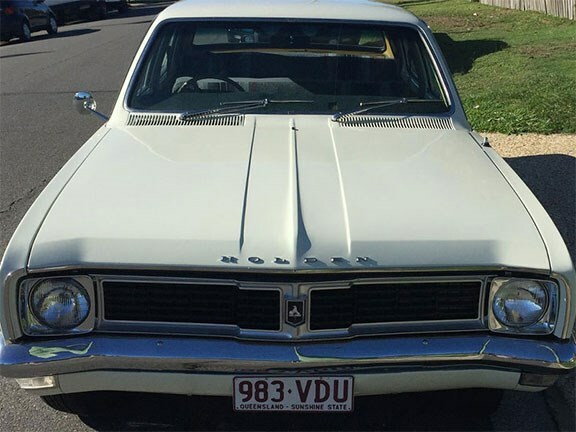 The Holden HT was first released in May of 1969, replacing the outgoing HK, and stayed in production for just over a year, before being replaced by the HG in August 1970. The HT model range was extensive and aimed to cater to every type of demographic whether it be family, sporting or commercially oriented. As a result, there were a number of trim specifications and body styles aimed to satisfy the needs of each part of the market place. For families and executives there was the Belmont, Kingswood, Premier and Brougham, all of which could be had in either sedan or wagon guise, except for the Brougham which came as a sedan only. For the driving enthusiast keen to get in on the action from Bathurst, there was the HT Monaro hardtop coupe, which was made available in three different trim specs; the standard Monaro, the GTS and the GTS 350. Commercially, the HT was offered as a choice of Belmont ute, Belmont panel van or Kingswood ute. Engines for the HT series were many and comprised a 2.6lt and 3.0lt six-cylinder and a 4.1lt, 5.0lt and 5.7lt V8. Power from these donks was sent to the rear wheels via either a three-speed manual, four-speed manual or a two-speed ‘Powerglide’ automatic transmission. This particular HT is a 1970 Kingswood and, according to the seller, the vehicle has had a bare metal restoration and will come with its original sales, service and warranty paperwork. The HT is $30,000 and anyone interested in this excellent piece of Australian automotive history can view the full listing here.